Posted May 2, 2017. Filed under Art Workflow, Materials, Tools, What Is ... ?. 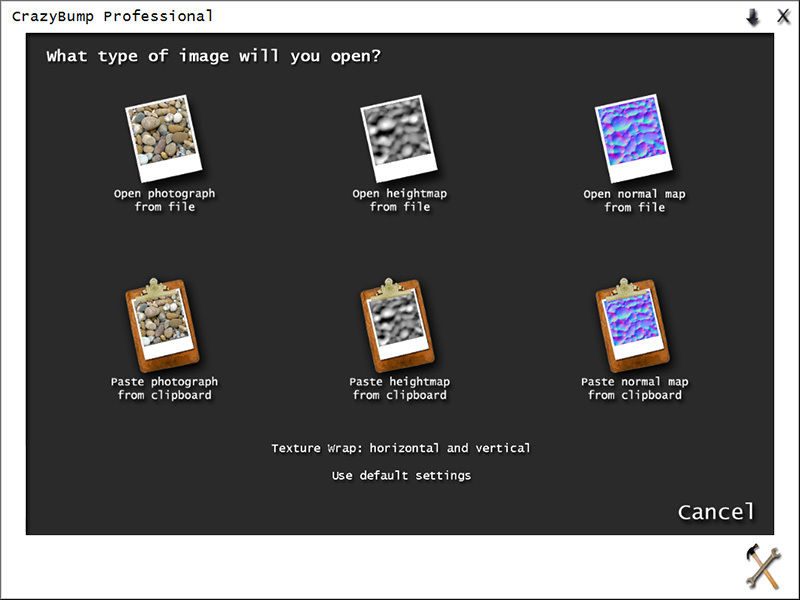 Tags: Bitmap2Material, content creation, crazybump, normal map, specular map, tool. Crazybump is a tool that analyzes a source texture such as a diffuse map and attempts to generate additional supplementary maps based on that analysis. It has been in use by numerous professionals in 3d graphics since its beta was first released in 2007. Crazybump is especially useful for generating tangent space normal maps, but can be used to create approximate height and specular maps, and a few other types. Many of these types of maps can be slow and difficult to create by hand or with freeware tools.